in a very short period of time. It has been a week of heavy rains here in my part of Texas. Monday alone, the rain gauge indicated 13 inches of rain. leaving behind debris caught in the fence. Remembering Prince and "Purple Rain"
to view wonderful fences from a round the world. 13 inches is a lot at once. glad you didn't flood. I'm so glad I worked on a retaining wall near the house...it made all the difference. So thankful you didn't have severe flood damage. What I saw on the news was so devastating. 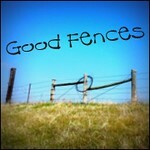 Enjoyed seeing the fence shots. I live in Fort Worth, TX and trust me we have had our share of flooding. I did not receive as much as I have in the past. Had drain system put in to help. However, Houston is i terrible condition.